Sports cars are meant to draw out the driver’s emotion with usable power and drivability. At Landers McLarty Nissan Huntsville in Huntsville, AL we have the best selection of the 2015 Nissan 370Z Coupe in stock for you to test drive. Located at 6250 University Dr. NW, our dealership offers the largest selection of new Nissans for Albertville, Decatur, Florence and Athens, AL. If you’re looking for a sports car that gives you the thrill that you crave, then stop by our dealership and get a great deal on a new 370Z Coupe. To make your car buying experience easier, let’s see how the 2015 Nissan 370Z Coupe does against the Porsche Cayman S.
When it comes to sports cars, horsepower is at the top of the priority list. 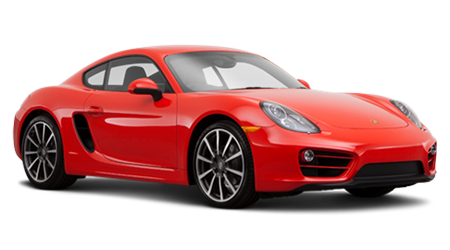 The Porsche Cayman S has a 3.4L flat-six making 325 hp and 273 lb-ft. of torque. The base 370Z Coupe packs a 3.7L V6 making 332 hp and 270 lb-ft.of torque. The top-of-the-line 370Z NISMO Tech Coupe has the same 3.7L V6, but is tuned to make 350 hp and 276 lb-ft. of torque. With a longer and more user-friendly list of entertainment features than the Cayman S, the 2015 Nissan 370Z Coupe combines the best combination of power, technology and usability. 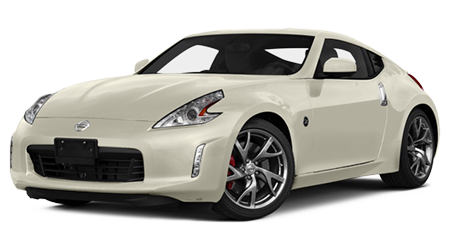 At Landers McLarty Nissan Huntsville in Huntsville, AL, we have the best selection of the 370Z Coupe in stock at amazing prices. Visit our dealership at 6250 University Dr. NW and get a first-class car buying experience with none of the traditional drawbacks.